Tegan Philip is a dynamic goaler, renowned for her long-range accuracy and drive into the circle. Making her debut in the former Trans-Tasman competition in 2010, Philip was catapulted into the starting seven after a season-ending injury to Sharelle McMahon in 2011. Since then, Philip has been one of the strongest, hardest GAs in the competition and has been rewarded with many accolades. 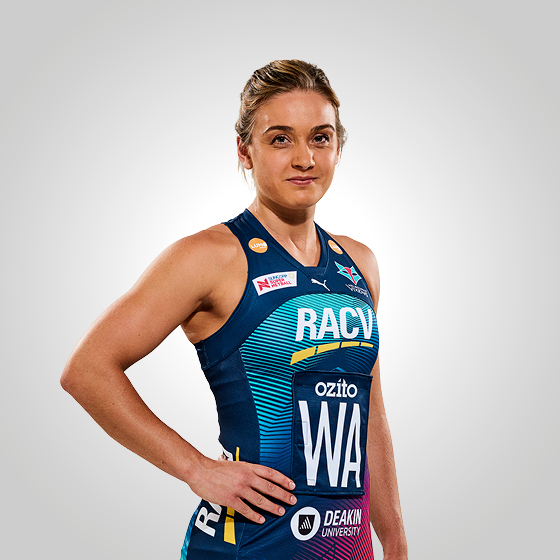 In her debut season, Philip was named Melbourne Vixens’ Rookie of the Year, and was Grand Final MVP in the team’s premiership in 2014. 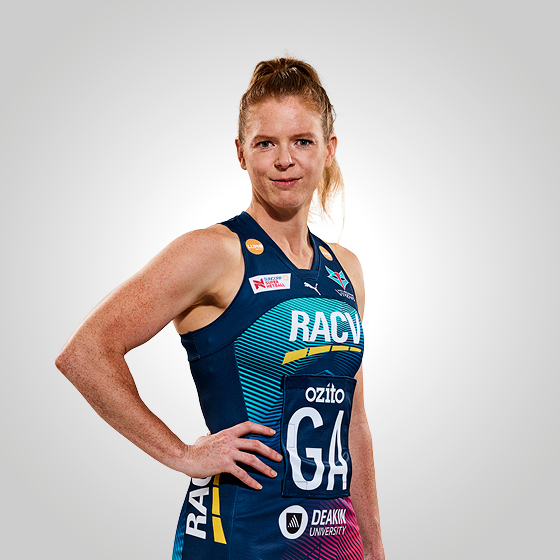 In 2017, she was named as the GA in the inaugural Suncorp Super Netball Team of the Year. She has also represented Australia, claiming a gold medal in the 2014 Commonwealth Games – her debut tournament. Following an ACL injury in 2016, Philip was sidelined and missed the entire season, but came back stronger than ever in 2017, earning herself the Player of the Match on her return and consequently, returning to the national side and Fast5 World Series team. I began playing netball when I was seven. Both my parents played and I grew up in a small town where everyone either played football or netball on a Saturday. Marg Caldow is my favourite netballer of all-time. She dominated as a goaler. I have a dog - German Shepherd x Kelpie, his name is Mac. If I could be on any reality TV show, it would be The Block. I support Carlton and Geelong in the AFL. In my spare time I go to the beach, catch up with friends and watch movies. The best piece of advice I have received is to believe in yourself.